Under eye bags are commonly perceived to be related to a lack of sleep. Although lack of sleep may be a factor, there are many other factors which can contribute to under eye bags such as seasonal allergies, sinus problems, high salt intake, or the normal aging process wherein the skin loses elasticity. These under eye bags can become chronic and lead to anxiety, even leading some to consider surgery or other costly cosmetic procedures. Fortunately, many topical gels have come onto the market as of late, some of which are very effective in treating under eye bags. Topical gels are a safe, cost effective way to combat under eye bags. Gels naturally help skin to combat factors that cause unsightly under eye bags by improving circulation, alleviating inflammation, and restoring skin tissues and elasticity to the bags under the eye. Gels are also highly recommended because many people are already used to applying topical creams, ointments, gels, and it's not difficult for them to remember to apply these gels on a regimented schedule. Who Benefits From Under Eye Gels? Anyone can be susceptible to under eye bags. Those especially at risk are people who get very little sleep, people who struggle with water retention and people who struggle with allergies or sinus issues. Another unavoidable factor is genes. Many people exercise regularly, sleep well, and don't have allergies, but due to their genetics, many people see under eye bags more and more as they age. With more than 70% of the adult population suffering from under eye bags at some point in time, under eye gels can be a good remedy for anyone who chronically suffers from under eye bags and wants a lasting solution to the problem. An effective gel for soothing and noticeable relief from under eye bags is the three part Vivexin eye treatment gel. With three active ingredients that work to restore elasticity, combat dark circles, and leave skin smooth, Vivexin gel is the total package to combat under eye bags. 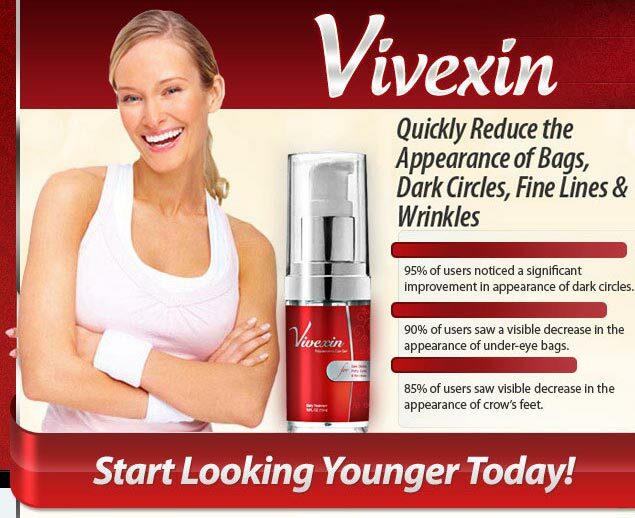 While many other simply target color or texture, Vixexin has been proven to leave skin looking and feeling year younger, improving texture and returning to a natural color. Due to the unsightliness of under eye bags, a lasting solution is key to combating and eliminating under eye bags. Many products on the market only treat one cause of under eye bags, leaving other issues not addressed. 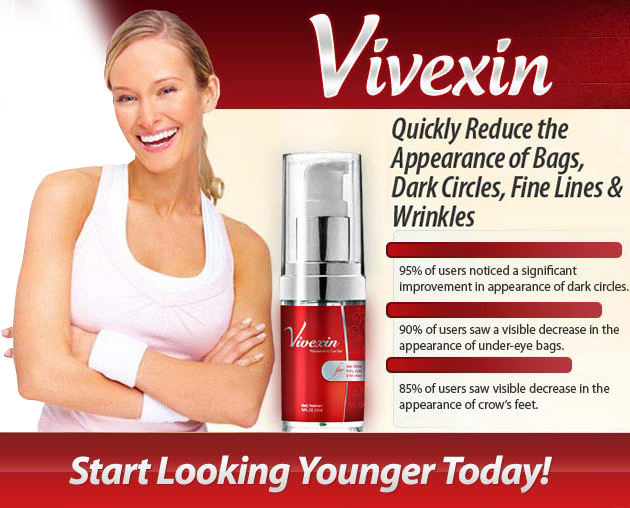 As a three part gel, Vivexin is a right gel for long term care of dark circles around the eyes and inflammation, i.e. bags under eyes. 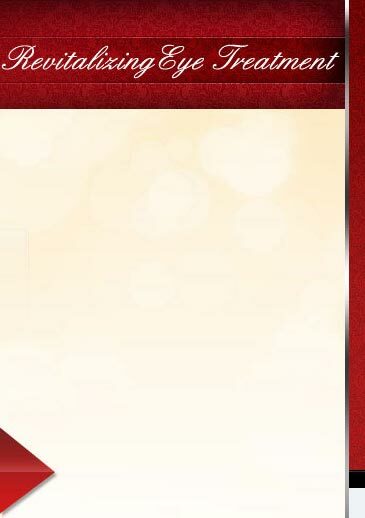 People of all ages, especially middle aged women should take advantage of this easy to use product. Under eye bags can cause cosmetic anxiety and cost money to remove, but Vivexin gel is a cost effective way to eliminate under eye bags and have the face you want.